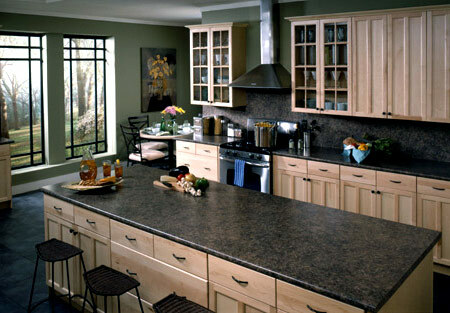 When it comes to countertops, laminate is a durable, cost-effective solution. It is the perfect fit for the bargain shopper, as laminate offers great quality at inexpensive prices. While it is known as a lesser expensive solution compared to granite and marble, prices of laminate countertops can widely vary depending on the style that is chosen. Customers local to Ashburn, VA and surrounding areas have options such as beveled or rounded edges, and can also choose the general quality within each brand’s product line. When it comes to selection, no other type of counters on the market offers you more design options than laminate. The surface area of laminate counters comes from a high-rez image that is glued to a laminate base, then covered with melamine resin. In the end, it means that just about any idea is possible when it comes to appearance. Popular varieties include imitation wood, metal, or stone while others prefer abstract or custom “themed” designs. Selection doesn’t stop with designs, as you can add beveled or rounded edges and decorative edging. Additional options include seamless backsplashes along with solid surface inserts of stone or wood. Laminate counters also offer bonus characteristics such as cleanliness, safety, and style. These countertops have a smooth, seamless surface which makes them easier to clean than other models. They are also safer than ceramic, stone tile or wood countertops, as those types can house potentially harmful food borne bacteria. Staying “in style”, the custom options offered by laminate can keep any kitchen or bathroom up to date with the latest design trends – all at affordable prices. 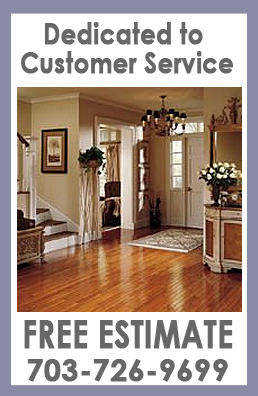 Do you live in northern, VA and want a free estimate, or just more information on laminate countertops? Call us today at 703-726-9699!